With dual-income families becoming the norm (66% of households), more Singaporeans are eating out on a daily/weekly basis (24%/51%), and frequenting affordable food courts and coffee shops for their regular meals. Koufu’s island-wide network of 47 food courts and 14 coffee shops is thus well placed to tap on this growing trend. While Singapore’s staple food industry is often viewed as mature and saturated, management is not resting on its laurels. Koufu plans to use Singapore as a springboard for its expansion into overseas markets in Greater China, Malaysia, Indonesia and Australia. Koufu is also in negotiations with several commercial landlords to establish new concept F&B outlets, such as its “R&B Tea” and “Super Tea” stores in Singapore and Macau. It aims to open up to 50 such outlets in three years and it’s targeting yearly turnover of SGD30m from this concept. The new integrated facility in Woodlands will commence construction in 4Q18 and be completed by 2Q20. At least 70% of the total GFA of 20,000 sqm will be for its own use and operations of its JV partners, while the rest will be sublet to third-party operators for their production needs, which could generate SGD4m of annual rental income. Other cost benefits from greater economies of scale would further enhance productivity and operational efficiency. Koufu is one of the largest managers and operators of F&B establishments in Singapore, comprising food courts, coffee shops, F&B stalls, F&B kiosks, QSR, full-service restaurants and a hawker centre. It also manages a mall. 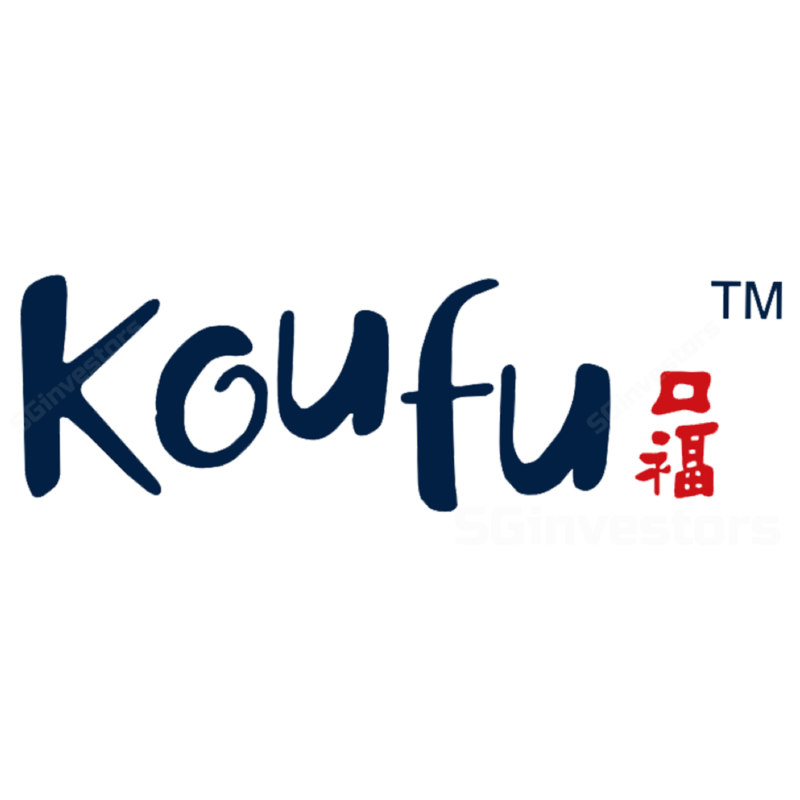 Koufu’s operations are concentrated mainly in Singapore with a presence in Macau. Outlet & mall management: Koufu manages 47 food courts, 14 coffee shops, one hawker centre and Punggol Plaza mall in Singapore, as well as one food court in Macau. Most of the stall operators of its food courts are charged a fixed monthly fee or a variable monthly fee pegged to gross turnover, whichever is higher. The monthly fee varies according to the location of the food court or the mix of stall operators at that particular food court or the type of F&B products sold by the stall operators. Two food courts that are managed but not operated by Koufu come under different revenue models. For the food court at Woodlands Vista Point, which is operated by a 49% associate, it charges a fixed management fee, while for the third-party operated Tampines Giant food court, Koufu takes a cut of the total fees and other charges levied on the stall operators, on top of a minimum management fee. As for the mall, Punggol Plaza, rental is collected based on a fixed rent for each tenant, while the wet market operator is charged a fixed licence fee. In addition, its tenants and the wet market operator pay service charges, advertising and promotion fees and maintenance fees. Koufu’s business mainly comprises two business segments: Outlet & Mall Management and F&B Retail, which accounted for 48.6% and 51.4% of FY17 revenue, respectively. Koufu operates its food courts and coffee shops under various revenue models (refer to Pages 6-7 of PDF report attached for a detailed explanation). Property rentals and related expenses formed the biggest component of the group’s total operating costs. For FY15, FY16 and FY17, property rentals and related expenses accounted for 50.7%, 50.7% and 50.4% of its total operating costs respectively. This was followed by staff costs covering salaries, bonuses, CPF contributions, staff allowances, foreign- workers’ levies, housing benefits and staff training. Staff costs accounted for 17.9%, 18.1% and 17.2% of its revenue in FY15, FY16 and FY17 respectively. Due to the stable nature of its business, there are no significant seasonal trends in the financial years under review. Projected capex for one food court is around SGD2m with targeted payback period of three years, implying a ROI of above 30%. For F&B outlet, the cost outlay is much lower at SGD50-80k and has a payback period of six months to one year. While Koufu has not committed to any fixed dividend policy, Koufu intends to distribute at least 50% of its FY18/19 net profits as dividends. While Koufu aims to set up 50 new F&B concept outlets, such as its “R&B Tea and “Super Tea” stores in Singapore and Macau over the next three years and is targeting an aggressive sales target of SGD30m, it faces keen competition in this segment. Jumping on this theme, BreadTalk Group (SGX:) recently opened its first TaiGai flagship store at NEX Serangoon, offering consumers healthier tea options using premium quality tea and fresh fruits. Based on consensus estimates, Koufu is trading at ~13x FY19E P/E, which is below the industry average of 20x. Backed by its robust cash flow-generative business, the group is currently in a net cash position of SGD39.5m (7.1¢/share) as at end-June 2018. While Koufu has not committed to a fixed dividend policy, management intends to distribute at least 50% of FY18/19 net profit as dividends, which would imply a decent yield of 3.8%. ~ S G investors . io ~ Where SG investors shareGiven the nature of its business, the stock is a relatively more stable defensive play amid current market volatility. The recent sale of Kopitiam to NTUC Enterprise for an undisclosed sum is not expected to materially change the industry landscape, according to management. The F&B industry is already highly competitive with new food concepts and options available for consumers. In addition, rising rental and labour costs owing to manpower shortage continue to be the key challenges facing this sector. While earnings growth is unexciting given the mature food industry in Singapore, the group’s business is stable and relatively immune to economic cycles. Cash-generative business with high ROE of > 36% given its end-to-end value chain, which enhances cost savings and productivity gains. Comfortable balance sheet with net cash of SGD39.5m (or 7.1¢/share) as at end-June 2018. No fixed dividend policy but it intends to distribute at least 50% of FY18/19 net profits as dividends. This translates to a decent prospective yield of 3.8%. Refer to the 22-page PDF report attached for complete analysis.